ABB’s new validated robot inspection system, TXplore, is tailored to the complex oil-filled transformer environment. Rigorous testing provides overwhelming support of robotic over human internal inspection in terms of cost, safety and digital leverage. 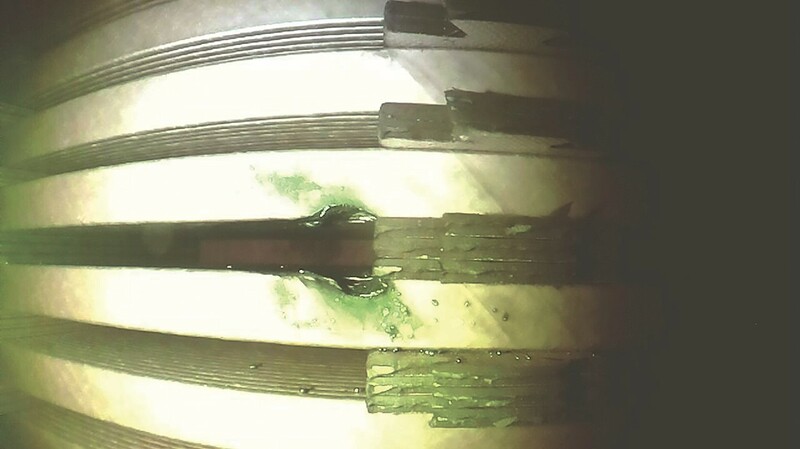 Despite the use of non-invasive condition monitoring techniques to determine possible faults and avoid adverse failures in oil-immersed transformers , there are routine and emergency situations that require costly internal inspections with major risk to both transformer structure and human inspectors. Nowadays, utilities perform internal visual inspections following lightning strikes and when there is the need to isolate the exact location or severity of a fault, multiple faults or complete a planned repair . In cases such as these, the mineral oil must be removed and stored so that a highly skilled transformer inspector can enter the hazardous enclosed space of the transformer tank, risking damage to both the inspector and transformer. The inspection process also requires medical teams and other expert personnel to be present. 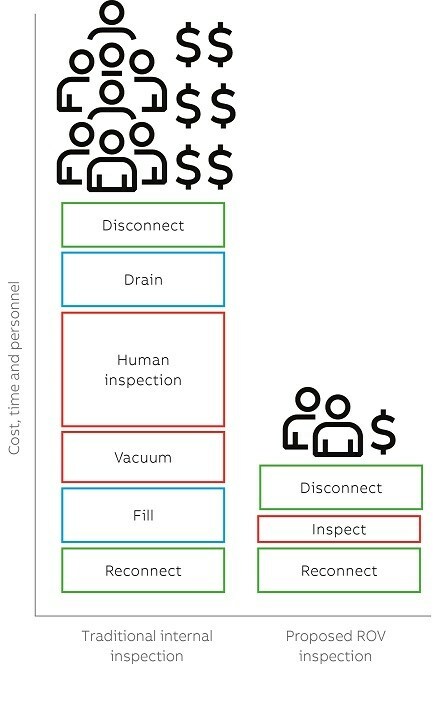 Commonly, during inspections, transformer downtime is three days — seen overall, internal human inspection has high human and capital costs. 01 TXplore remotely driven robot uses propellers and buoyancy control to navigate freely; light sources and cameras secure quality images. With over 200,000 projects completed, ABB is a global leader in the production, monitoring and maintenance of transformers. Much thought has been devoted to internal inspections of these devices with the aim of lowering capital costs, improving the effectiveness of inspection data, lowering the safety risk to humans and transformer assets and reducing downtime. In late 2012, ABB proposed a concept to develop a remotely driven robotic system to operate reliably and effectively within the toxic and fragile environment of a transformer unit and eliminate the need for human inspection. To be a viable option for utilities, the remotely driven robotic system must inspect the transformer, navigate effectively and maintain the integrity of both the transformer and its oil. High quality visual images and data must be collected and transmitted to external systems for evaluation. A multi-disciplinary team of scientists and engineers from ABB was formed to design such a system. The result of their efforts is the submersible transformer inspection robot now known as TXplore →1. 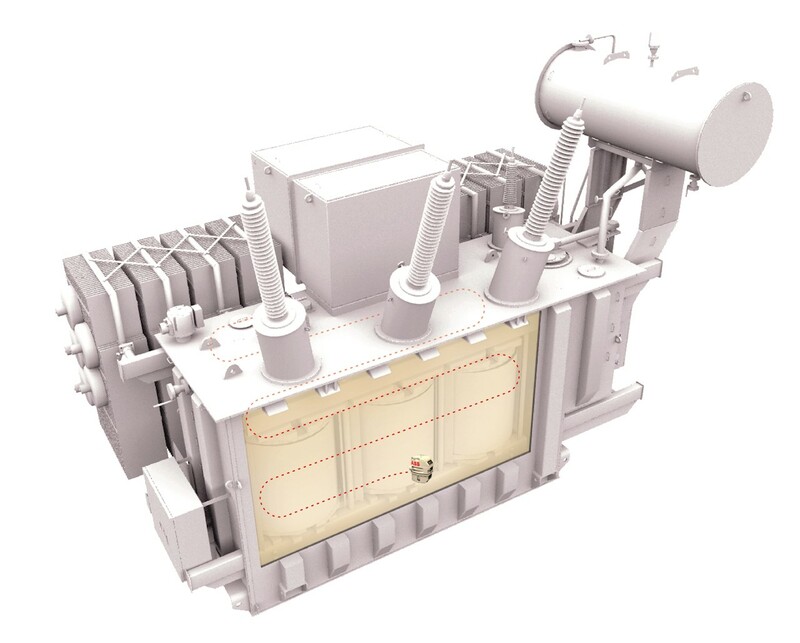 Power transformers are expensive yet critical machines that are designed and manufactured using complex engineering and construction methods to deal with stressors encountered during their lifetime - eg, overvoltage, short-circuit currents, high temperature of windings and contaminants. The circulation of insulating oil allows heat to be removed from the windings and is crucial to the health of the transformer. Any object, including a robot, which enters the transformer must preserve the integrity of the oil. For this reason, ABB designed the entirely new TXplore system→1-2. 02 TXplore remotely driven robot can navigate freely and safely within a de-energized oil-filled transformer. The newly designed inspection system for de-energized transformers only requires two personnel once the unit is prepared: a top-side equipment technician to setup and manage the robot and a robot pilot to navigate, gather data and communicate with experts and customers→3. The equipment operator is responsible for the installation tasks and placement of the robot into or out of the system→3. 03 An in-situ internal inspection of a transformer showing the robot pilot, equipment manager and the robot. TXplore is designed to navigate and collect high quality inspection data safely and easily.The photos and videos can be produced without becoming stuck or damaging the transformer or its components→4. 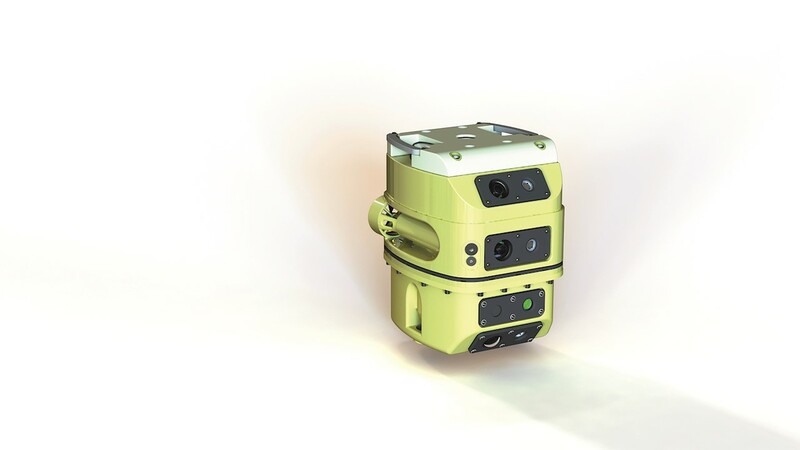 The tetherless robot is shaped and sized to balance ease of navigation with robustness, which allows the submersible robot to inspect all areas of interest such as bushings, leads, tap changer, core top, core support and insulation and more. Additionally, redundant safety systems and extensive thermal and environmental safety testing verify the TXplore system is ready to inspect transformers under a variety of demanding conditions. 04 A schematic showing TXplore navigating within the oil-filled transformer. With the preservation of mineral oil quality of primary importance, the robot construction is optimized to leave no detectable footprint — either chemical or physical — as it operates within the transformer. The robot’s outer shell is made of a high performance plastic that minimizes the risk of electric coupling and structural damage to the transformer while allowing the craft to operate safely in demanding environments at high temperatures. High quality inspection images can be made on-site and transmitted worldwide. 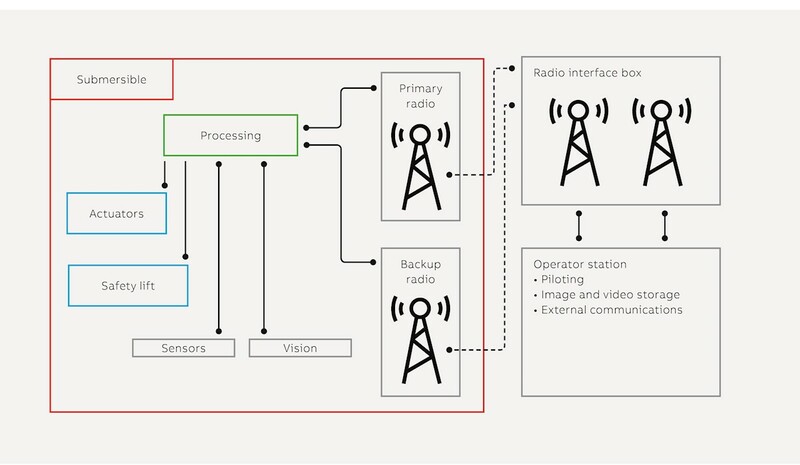 Redundant radio systems ensure that navigation can continue even when communications are impaired. The unique system architecture allows future technologies to be added as advances are made and end user demand grows→5. In this way the TXplore system provides digital leverage. 05 The system architecture shows electric, mechanical control systems and data collection systems. 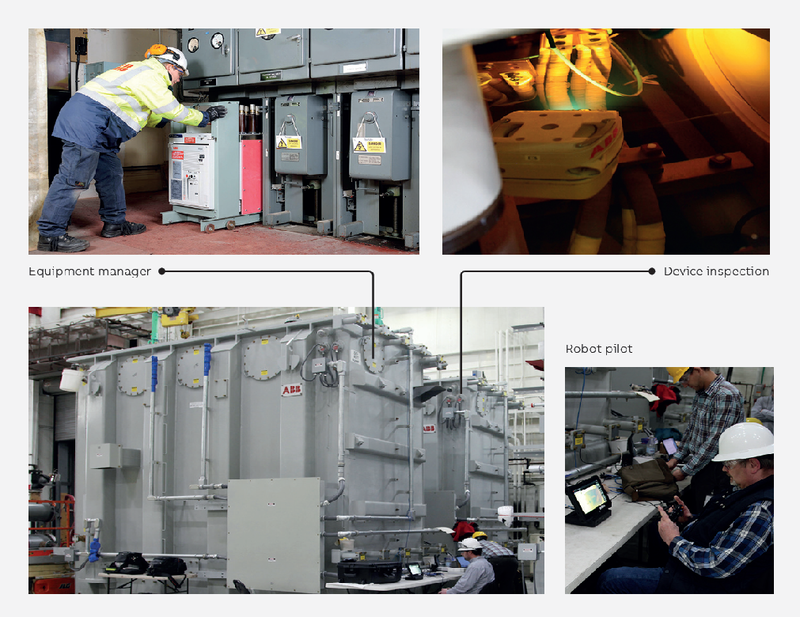 The safety of the people responsible for inspection and the integrity of the transformer are paramount and the system design ensures optimal navigation and communication ability. A comparison of the proposed workflow to conduct a robot inspection with that of a traditional human invasive inspection indicates this→6. TXplore navigates in the oil, thereby eliminating the need for processing equipment eg, tanker trucks, processing and vacuum filling rigs or personnel to remove and store the oil — a common practice during human inspections. And, because the robot enters the unit instead of a human, no medical or environmental safety team is required during inspection. Remarkably, only two employees, a robot pilot and a top-side equipment operator, are needed on-site during a TXplore inspection, once the transformer has been prepared→3. Overall, robotic inspection can be completed in less than one day with only two employees — a dramatic reduction in personnel, time and cost compared to a standard human inspection which, requires a large team and lasts three or more days. 06 Current human workflow versus proposed robot workflow for a transformer inspection. Whole system and subsystem investigations were undertaken in the laboratory and at testing facilities before pilot studies were conducted in near-real-world installations. Tests were performed for leakage, navigation capability, temperature and chemical stability and possible oil contamination. Prototypes were tested for leakage at various temperatures for more than 96 hours under pressure conditions that reached up to more than twice the expected field pressures. Spatial and depth navigation abilities were assessed in seven different oil-filled tanks to determine robot stability and to ensure that visual system could be stabilized to support high quality images. The impact of the robot prototype on the mineral oil was evaluated in an elegant way: Two tanks of oil were prepared, one with a volume of highly contaminated oil (taken from a field transformer) and one with 100 gallons of clean oil. A baseline set of measurements were made for volumes of oil. 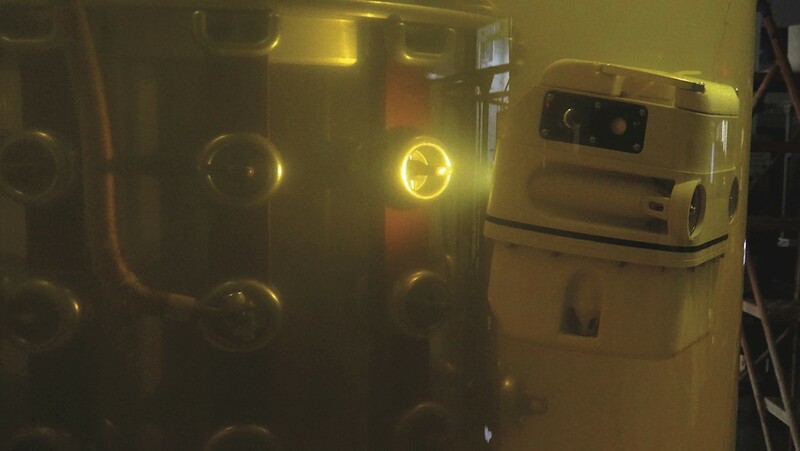 The robot was then placed in the tank of highly contaminated oil for 6 hours. The robot was removed and re- processed using ABB’s validated cleaning and site preparation techniques. Afterward, the remotely driven robot was placed in the clean oil tank for an extended period. At this point samples were retrieved from this oil tank and analyzed to ascertain whether or not the robot contaminated the second oil tank. The results were then compared to the baseline results. 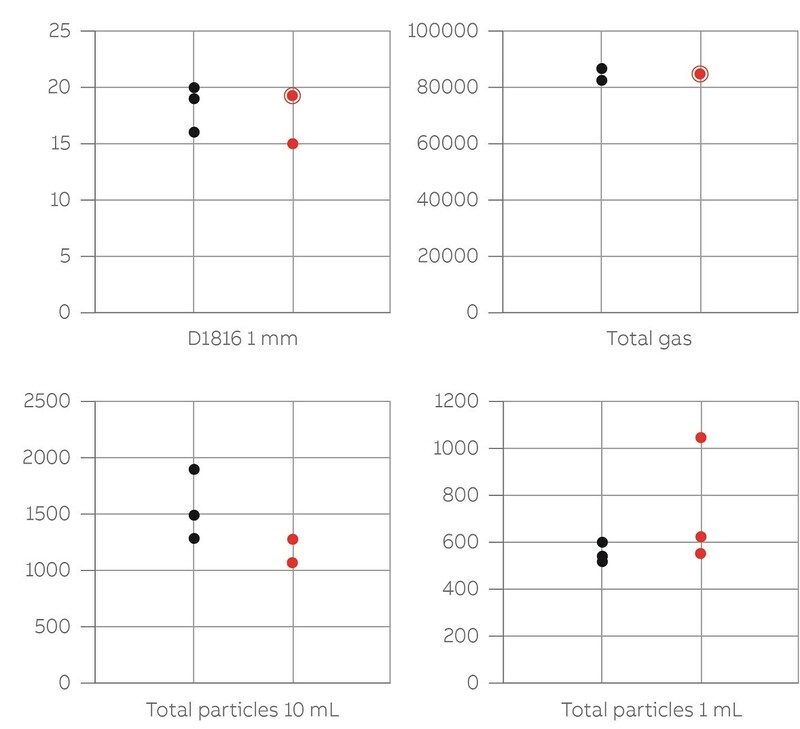 The contamination level of the oil (from clean and new to practically black and highly contaminated with particles present)→7, temperature (from -5 °C to 27 °C) and the impact of the robot on the oil were examined. The findings show that the oil maintains its integrity throughout the inspection process if procedures are followed. It is known that remotely operated vehicle (ROV) propulsion systems often generate bubbles through cavitation. Design elements were carefully included to prevent this. 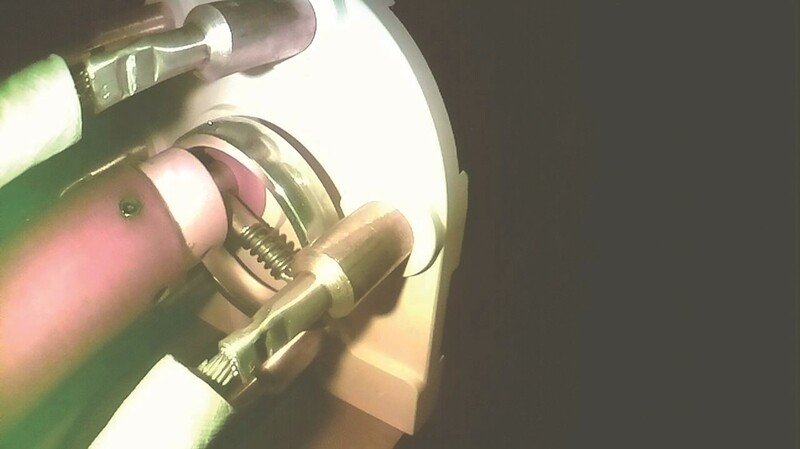 For example, the propulsion system of the robot can be a source of cavitation. A stroboscopic investigation of the propeller was performed at all possible rotational frequencies to evaluate this process. There were no gas bubbles detected, even in areas likely to act as cavitation nucleation sites such as the leading edge of the propeller or the gap between the propeller and shroud. 07 An example of oil contamination test results showing no particulate contamination following introduction of the robot in the oil-immersed transformer. Pilot system inspections were conducted under various conditions and temperatures; the result was a dramatic reduction in inspection time to less than two-hours. Clear and accurate images were taken →8, recorded and provided to the customer in the form of a detailed report that documents the inspection. All relevant information could be shared with experts worldwide in near-real-time. This capability ensures customer will have the right diagnosticians to deal with any transformer issues encountered. 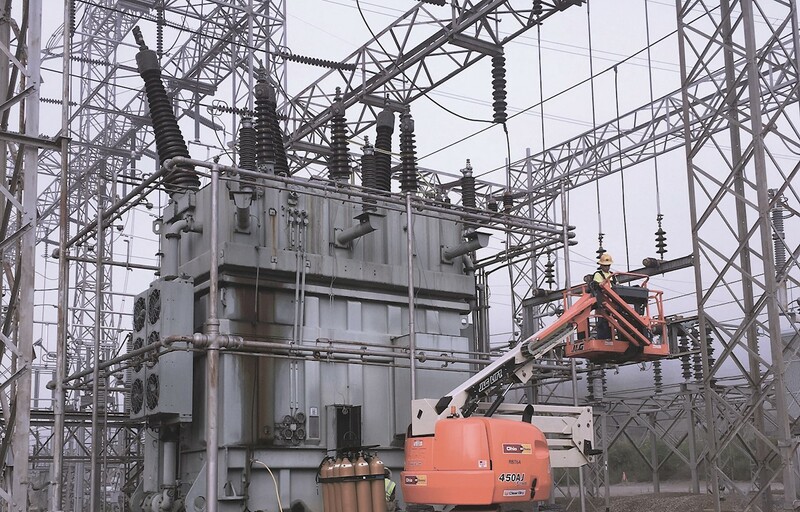 TXplore inspection allows a return to service with confidence that the future plan of operation or repair of the transformer asset can be maintained. 08a The customer thought the source of failure could be the tap changer but TXplore image shows this is not the case. 08b TXplore image shows clearly that a disk to disk failure was the source of the problem. Robotic inspection test results have been reaffirmed by transformer inspections conducted in 2016 at the St. Louis power transformer factory on production transformers and on a critical substation that provides power to the high-voltage test facility→9. 09c TXplore is safely placed into the oil-filled transformer by a top-side equipment technician. 09d TXplore navigates freely and safely within the oil- immersed transformer without risk to employees. Additionally, American Electric Power (AEP), a large utility in the United States, viewed a demonstration of a remotely driven robot inspection of a tank at ABB Customer World in March, 2017. 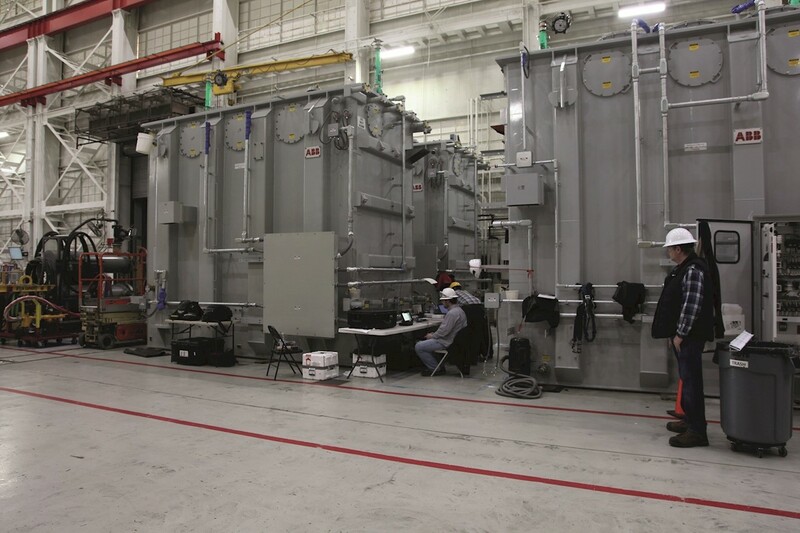 AEP approached ABB about the possibility of performing an inspection of one of their large power transformers that would be taken out of service. During the summer of 2017, ABB’s development team brought the robot and control and recording equipment to the AEP station and successfully performed an internal inspection of a transformer that was more than 50 years old without the need for any oil handlin. TXplore successfully inspected the transformer and ABB could verify the benefits of effective mobility of the robot, visualization ability and collaboration potential, both remote and local, as well as the efficient overall operation. Prototype data and performance information were reviewed following these pilot inspections. As a result, design modifications were made to improve reliability, longevity and to enhance the ability of TXplore to perform inspections in hot oil. The first production robots were initially tested and completed trial inspections in February 2018. The robot was introduced to the market at the Hanover Trade Fair and initial orders for pilot trials of the final design were received March 1. Production service inspections are scheduled to begin in May 2018. From this time forward robot production will allow global ABB to perform inspections on any oil-filled transformer large enough to accommodate the patented robot. Production will continue to enable a fleet of robots to support ABB service operations. Robotic inspection eliminates the need to bring in heavy equipment and reduces the size of the supervisory team, dramatically shortens downtime, usually to under a day, and is cost-effective. Moreover, the ability of the system to provide a comprehensive inspection data set make robotic inspection beneficial. 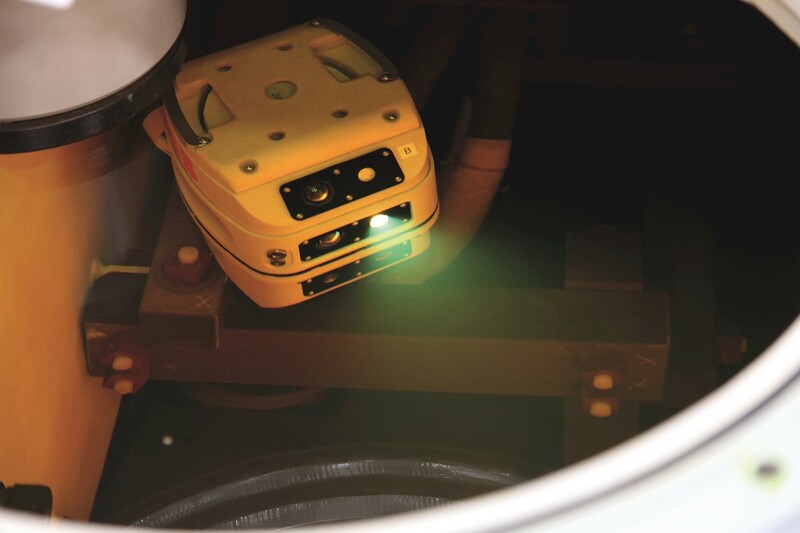 Nevertheless, the most significant advantage of using a remotely driven robot to navigate the oil is the ability to visually map the entire interior of the transformer unit and remotely view the inspection results safely without requiring humans to enter the enclosed space of the transformer. ABB takes this advantage one step further and will integrate the robot and system into the ABB AbilityTM Platform. The forthcoming digital solutions and services will be built around the inspection data. 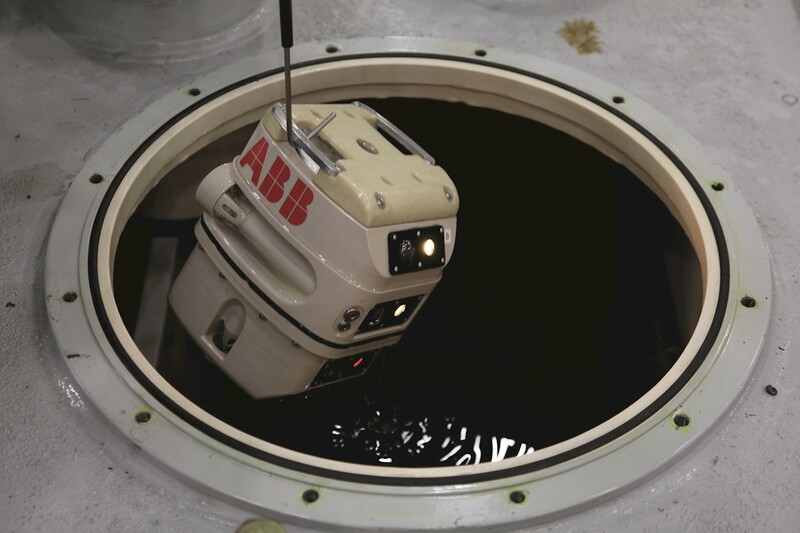 By revolutionizing oil-immersed transformer inspection, not only has ABB anticipated the customers’ desire to improve safety and lower costs, they have transformed inspection data gathering and management to provide digital leverage to customers and that all important competitive edge. L. Carlzon, A. Fazlagic, P. Lorin, Service Handbook for Transformers, P. Boss, D.G. Frimpong, and M. Turner, eds. ABB, 2007. H.C Sun, Y.C. Huang, C.M. Huang, “A review of dissolved gas analysis in power transformers” Energy Procedia, volume 14, pp. 1220-1225, 2012.